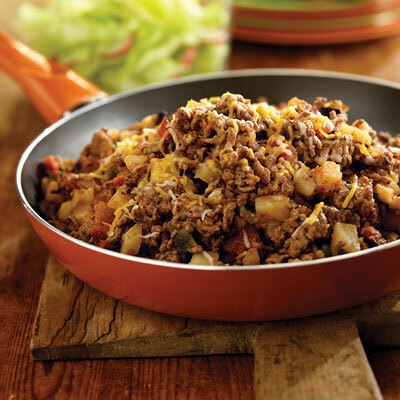 Stir fry ground beef in rendered fat in a nonstick skillet until turns color. Transfer the fried beef in a crockpot. 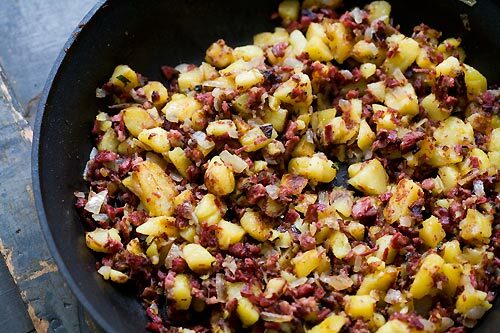 In a bowl blend together chopped onion, garlic powder, potatoes, salt and pepper. Add to the crockpot. Mix well. Combine gravy mix along with 1 cup boiling water and pour over the mixture. Add margarine and simmer on low flame for 7 to 8 hours.